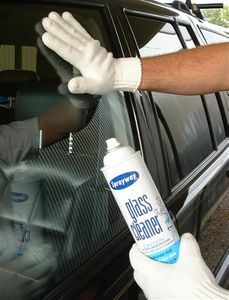 One of the most difficult detailing jobs is cleaning the glass. It is almost impossible to do a perfect job because it is impossible to find the right products over the counter. This is where professional formulas are absolutely necessary. Only professional glass cleaners are alcohol based. Over the counter, ammonia and vinegar based products leave smears, no matter how you apply or wipe them off. Microfiber, a revolutionary fiber will make a world of difference, but the glass cleaner is still a very important part if the equation. 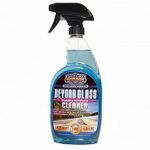 Not only have we included glass cleaners in this section, we have also included a glass polish that removes super stubborn water spots. Also included are glass treatment/ water repellant products and many cleaning accessories to make the job easier and prevent smearing.